This classic cocoa sponge cake recipe is so easy to make and just perfect for sharing. This delicious cocoa sponge cake will take around 1hr to prepare and make. Decorate with a quick, rich cocoa buttercream and top with heaps of fresh berries like raspberries or strawberries. You could also fill this cake with fresh cream to make it extra special and perfect for dessert. This cake serves around 10 people. Leftovers can be stored in an airtight container in the fridge for up to 2 days. If using fresh cream make sure you pop your cake in the fridge as soon as so the cream doesn’t have time to warm up and melt. 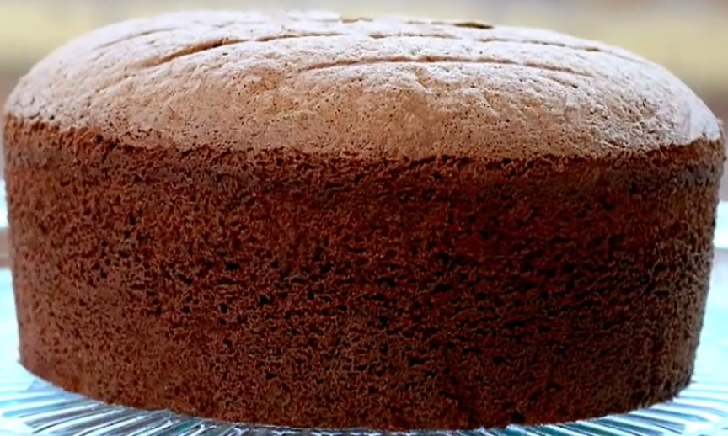 Check out this quick and easy basic cocoa sponge cake. This moist cocoa cake is a super simple, all-in-one cake for all those cocoa lovers out there. For the flour, remove 55g from the weight you measured to match the weight of the eggs. Add 55g of cocoa powder. Combine the flour and cocoa. Preheat the oven to 170°C / Gas 3. Grease two 23cm sandwich tins and line with baking parchment. Put all of the margarine and sugar into a large mixing bowl. Cream together with an electric mixer until pale, creamy and fluffy. Crack ONE egg into a small bowl (in case something is wrong with the egg) then add it to the margarine/sugar mixture. It is important that you do not over whisk at this point, just use the mixer on its lowest setting until the egg has become a part of the mixture. Repeat this process with the second egg and, after that, the third egg. Sieve a couple of tablespoons of flour-cocoa mixture at a time into the mixing bowl with the other ingredients. Keeping the electric mixer turned off, give the mixture a quick stir (this will help prevent any of the flour flying out when you turn the mixer on!). Turn the mixer on and mix everything together very well. Try to get air into the mixture as well as this will make the sponge lighter. Divide the mixture evenly between the two tins. Bake in the preheated oven for 20 minutes. To make sure it has finished baking, use your fingers to very lightly press on the top of the sponge. It should feel spongy and spring back up. Let the sponge cool on a cooling rack. (Don't forget to remove the parchment!) When cool, add jam, whipped cream, icing, butter icing or anything you want to fill and decorate your cake. This same basic recipe can be used to make butterfly cakes, fairy cakes, birthday cakes and any other kind of sponge recipe. Try different things to adapt it and make your own cakes. If you find a good way to use this recipe, please make suggestions by commenting! White chocolate and raspberry: omit the cocoa and leave the flour at 175g. Stir a handful of white chocolate chips into the mix before baking. In the icing, swap dark chocolate for white, melt it without the butter and fold it into 150g half-fat mascarpone instead. Add a layer of fresh raspberries to the filling. Chocolate and orange: make the cake mix and add the zest of 2 oranges and a handful of dark chocolate chips. Add the zest of an orange and a little icing sugar to the whipped cream. Millionaires’ caramel: add 1 tbsp extra cocoa powder to the cake mix, swap the cream filling for dulce de leche or carnation caramel.